Gallery Allmenningen is a private gallery, established in 1993. The gallery is located in the center of Bergen, close to the famous Fløibanen funicular and Bryggen. The gallery organizes approximately 10 exhibitions a year of contemporary art by Norwegian and foreign artists in painting, photography, graphics and sculpture. 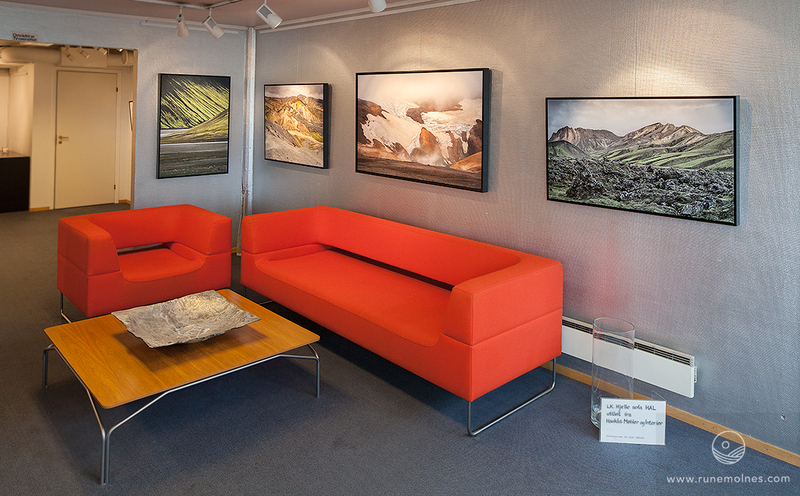 In addition to the exhibitions, they have a selection of images of the gallery's regular artists for sale. Galleri Allmenningen also consult owners of private - and public buildings who wish to decorate their space with art. Owner and curator, Atle Maurseth. 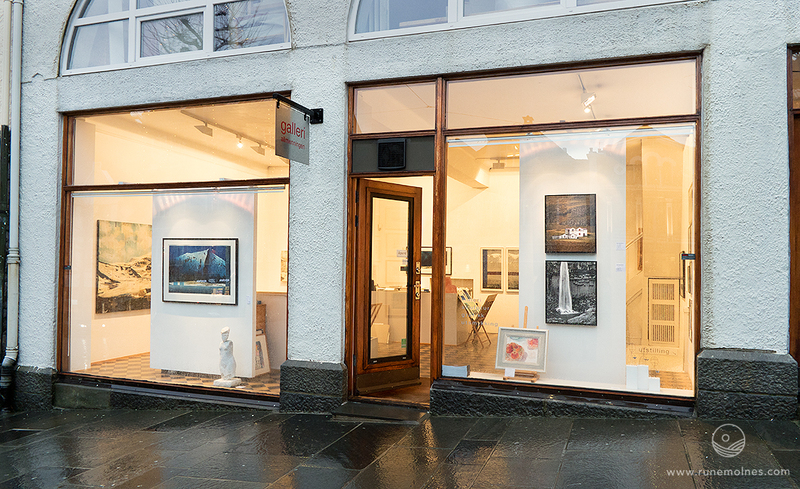 Gallery SG is located in the center of Trondheim in a lovely historical building situated alongside the river Nidelven. 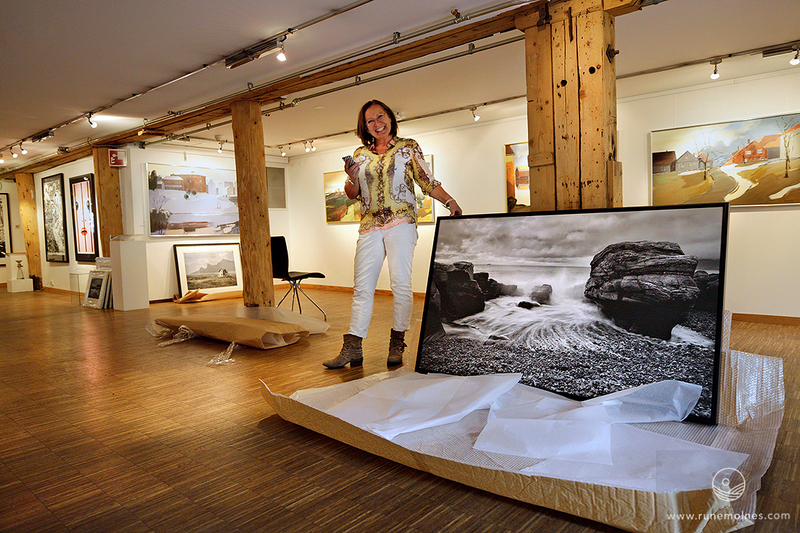 In this gallery you will find a wide range of local, national and internationally renowned artists, including Pushwagner. Gallery SG also has a permanent satellite exhibition in Rica Nidelven Hotel. The gallery has four employees, including the owner Sissel Fjærem Giæver and curator Anniken Elisabeth Storhaug. Galleri Amare was established by Mary and Carl Helge Hana on January 11th 1991 with a large group exhibition of works by 78 artists. 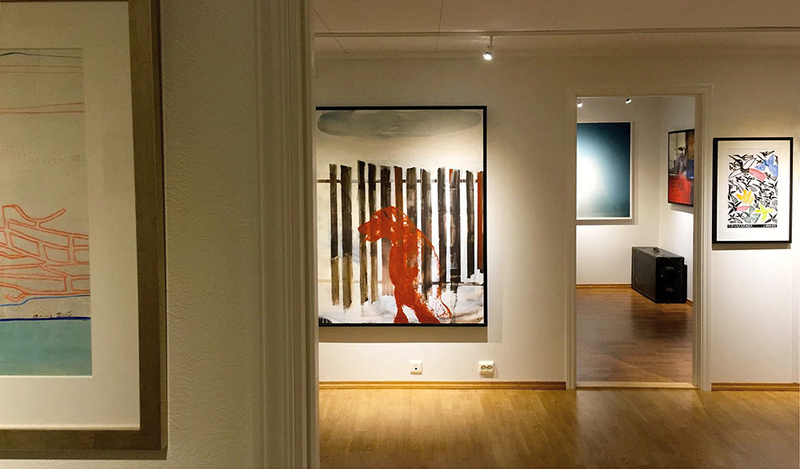 Gallery Amare now has regular contact with over 200 renowned artists - mainly Norwegian - and has established itself as one of the largest private galleries in the country. They have expanded their premises to about 300 sqm, started their own frame shop and in 1998 they acquired a great artistic residence with studio in the Old Town. In January 2005, the gallery bought the protected childhood home of Lars Hertervig , one of the most renowned Norwegian artists. 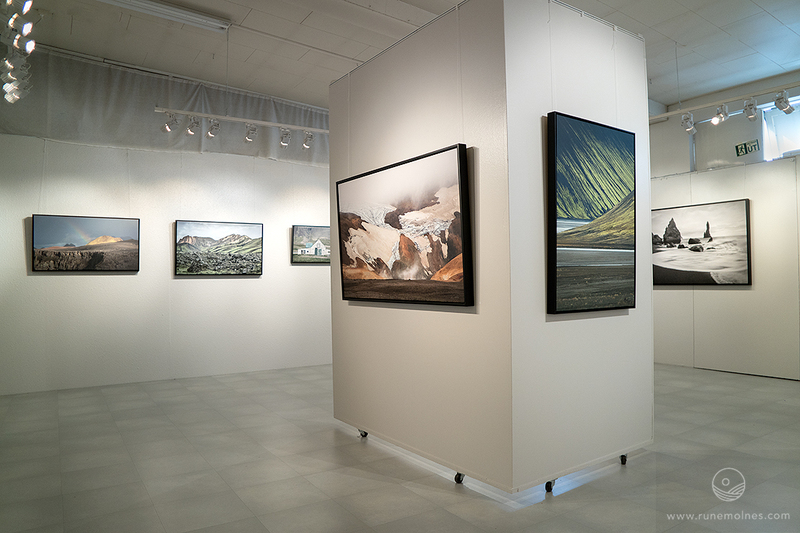 Established in 1990, Gallerí Fold has become Iceland's leading exhibition and auction house. It sells the work of over 60 of the country's best-known artists, such as painter Harry Bilson, whose playful work was chosen to represent the gallery at Art Copenhagen in 2013. Gallerí Fold's premises at Raudararstigur 14 are home to five exhibition spaces in a vast building of 600 square metres. Here enthusiasts can witness the latest developments in Icelandic art through regular commercial and recreational showings. Past exhibitions have featured works by internationally renowned artists, including Louisa Matthiasdottir and Andy Warhol.